A good digital camera isn't hard to come by in 2014. That being said, in an era where your cell phone can take extraordinarily good pictures, you need a digital camera that takes your image quality to the next level. In this post I'll take you through a few cameras I've used over the past year and a half and give you my thoughts on each. On the bestseller list since its release in the last part of 2013, the S120 is still one of the best new compact digital cameras available for 2014. I take it with me on trips and vacations and it does a great job of replacing my T3i when I don't feel like lugging it around. Although the S110 was slim, Canon has managed to make the S120 even slimmer and it now easily fits in my pocket. One of the best new improvements in the S120 vs. the S110 is the new Canon Digic Image 6 processor which gives you better results in high-ISO short shutter speed situations. Iso range is now 80-12,800. With the faster processor you can also achieve faster shooting capability at full image quality. You also get Canon's new multi-white balance system which analyzes several areas of the image to determine whether different adjustments are needed. While I do think that this is the best compact camera available right now it doesn't quite give you DSLR quality. 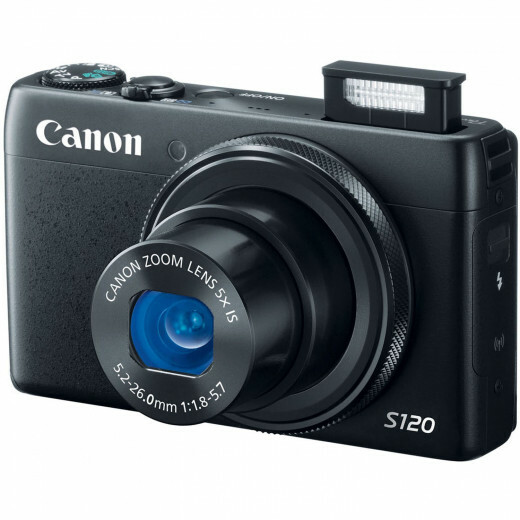 That being said Canon did give the Canon S120 a 12.1 Megapixel high-sensitivity CMOS sensor that is ideal for compact cameras and gives you state-of-the-art imaging performance and technology, much of which, was taken from Canon's DSLR line. Final Thoughts: Overall this is one of the better pocket digital cameras on th e market. That being said previous generation models are still pretty tempting at just about 60% of the cost. 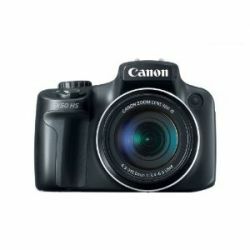 Canon had several extremely popular new release cameras for the end of 2012 that are in the overall bestseller list. 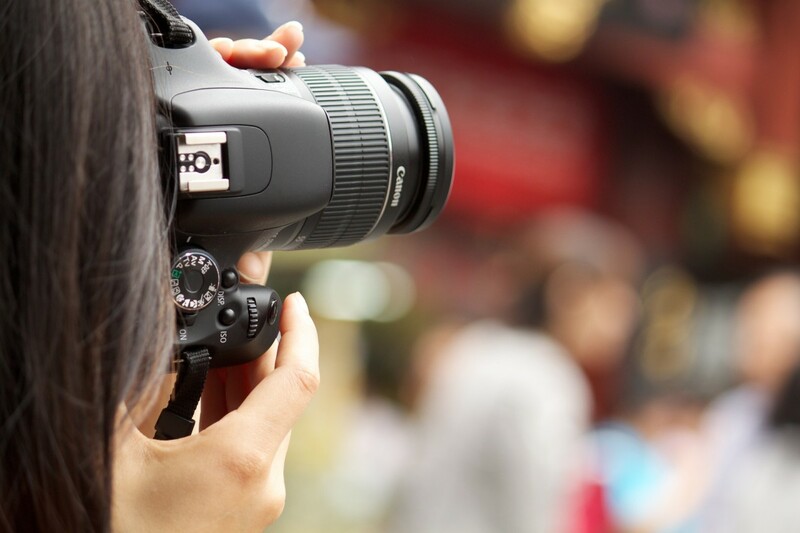 As a company their dedication to low prices, quality, and technology has made them the most popular manufacturer of digital cameras for the year with Nikon and Panasonic falling close behind. Canon's latest releases including the Canon SX50, PowerShot S110, ELPH 320, and SX150, have already gotten many great reviews and with Canon's improved image processing and sensor technology they are must have for any photographer. The SX50 uses a 12.1MP High Resolution CMOS Sensor to captures crisp detail and features 50x Optical Zoom offers for incredible reach and range. Overall it seems to be a large improvement over the SX40's chip. For the money you won't be able to find a camera with a better picture in its class. The 24mm ultra Wide-Angle lens also makes it simple to take pictures of landscapes and wide family portraits. With the Canon Digic 5 Image processor I've also noticed an improvement in noise reduction which makes for even better shots when taking pictures in low light settings with higher ISO speeds. Burst shooting isn't perfect @ 8fps and it does take a little time to auto focus when trying to quickly take pictures but overall the SX40 makes up for it in overall image quality. One of the features I've been looking forward to trying out most is the full 1080p high definition. In one word it really is "incredible". It does have a little bit of a blur focusing when you're zooming in and out, but other than that the video really looks sharp. It's so good that it's owners have been putting up videos online just to show off. Overall this camera is a great choice for entry and mid-level photographers. If you need to take pictures quickly it might not be ideal, but if you're looking for image quality and accurate color, then the Canon SX50 should be on your short list in this price range. The Elph 320 is still on the Best Seller's list, but I'm pretty sure people will catch on pretty soon. Since the release date this camera is receiving some impressive feedback. Believe it or not, this camera actually lets you take pictures and shoot videos in three-dimensional form. The Sweep Panorama mode on this camera allows you to hold down the shutter and pan across an image, which lets you take a panoramic view as wide as you want. 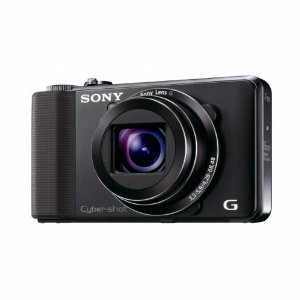 The Sony Cyber-shot Digital Camera HX9V also allows you to shoot movies in high definition, in a format that you can record to a Blu-ray disc. This even has a Soft Skin mode, which automatically reduces wrinkles and other unsightly blemishes when you take a picture. The focus of this camera is such that you can take pictures of almost anything, and still come out with clear, unblurred photographs. If you're taking pictures in scenic locations, the Background Defocus ensures that the subject of your photograph will stay clear. The Natural Flash mode takes a photograph first without the flash, and then takes another photograph with the flash. 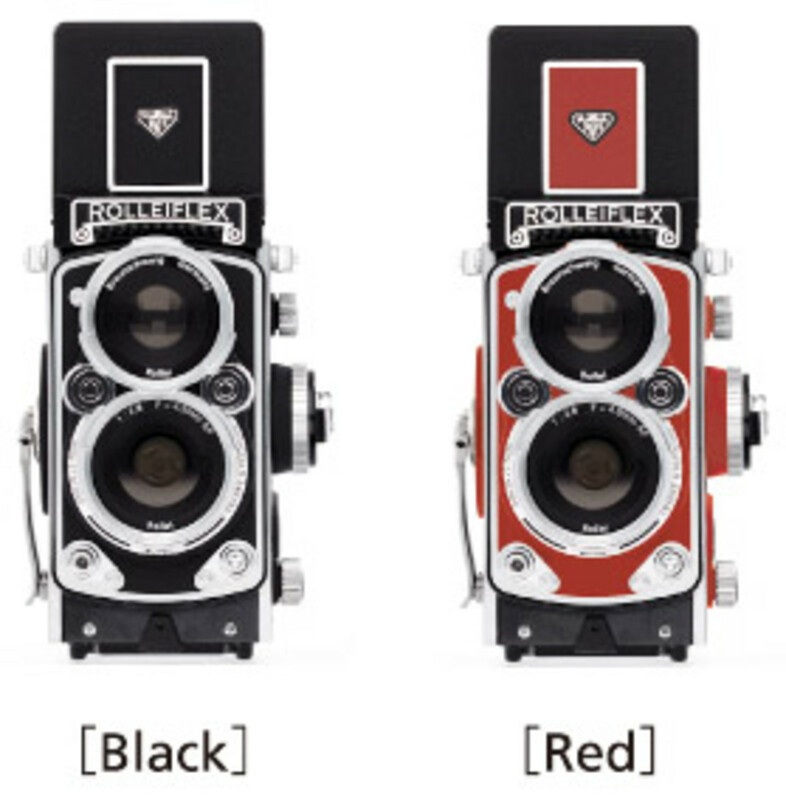 It then compares the two photographs to determine the most natural colors for your photograph. This camera is expensive, but it's tailored for professionals. Such being the case, it obviously has all the latest and greatest technology, and more. This camera has extremely large pixels, allowing you to capture even the most minute of details when you're taking pictures. 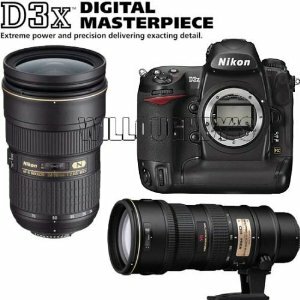 This Nikon D3X Masterpiece is made of sturdy materials, to protect against the wear and tear of photography. Additionally, these materials are made to last much longer than the average camera. You can take up to 4400 photographs in just one battery charge, which is also a lot more than the average camera. Made for professionals, there are four preset picture controls: standard, neutral, vivid, and monochrome. There are also additional settings that allow you to control the colors that you capture in even more detail. This pricier, German-made camera comes chock-full of features. The best feature of the Kodak EASYSHARE MAX is in fact its sharing capability. With just the click of a button (and of course plugging your camera into the appropriate device), you can share the photographs you have just taken with any number of destinations - email, facebook, online photo albums, etcetera. 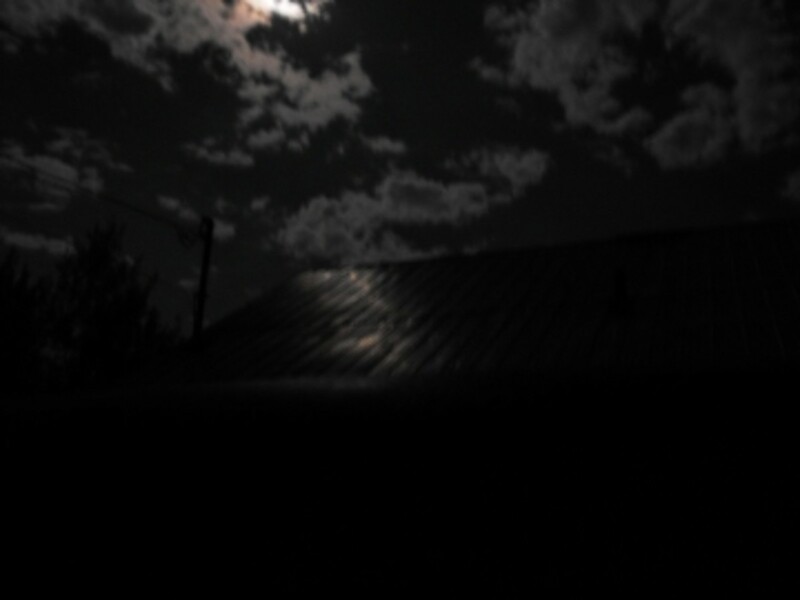 A CMOS sensor allows you to capture detailed photographs even in the dimmest of lights, even without using a flash. The camera lens can zoom up to thirty times the original magnification, thanks to the ultra wide lens. The shutter responds quickly - as soon as you click, it captures the image, allowing you to capture the most in-the-moment activities and scenes. Features several unique modes, including artsy effects, as well as panorama views - it even has photo booth capabilities! If you don't want to have to constantly be fiddling with the many different modes, however, the Kodak EASYSHARE MAX includes a feature called Smart Capture. 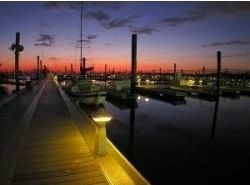 Smart Capture automatically evaluates the scenery and subject and chooses the best mode for your photograph. This camera also recognizes faces - allowing you to pre-tag up to twenty people, making it even easier to share your photographs on social media and other websites. 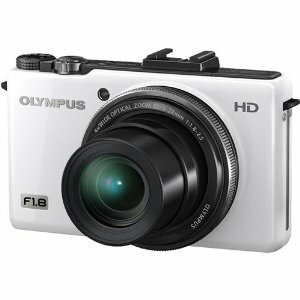 Although this looks like a normal digital camera at first glance, the Olympus XZ-1 is anything but normal. Fully equipped with all the latest technologies in digital cameras, you won't be able to think of an option that it's lacking. This camera comes with an extremely wide lens that is perfect for letting in just the right amount of light, and the CCD has been doubled, allowing twice as much light as before to come into the camera. Do you need to take pictures of running children or other fast-moving objects? That's not a problem with the Olympus XZ-1, as it is equipped with several different technologies to minimize blurriness in your everyday pictures. What's the best new camera of the year? Other - Please leave a comment below. Clearly, digital cameras have reached a new level of capability, with all of the smart features that can do things that even the human eye can't. Take advantage of this unique technology, and record your life in a way that was never before possible, with a new digital camera. The best bang-for-the-buck AV receivers under $150, $300, and $400. A comparison of all of 2015's tablets including a comparison chart of the Nexus 9 Vs. Galaxy Tab S Vs. Galaxy Tab 4, and Apple iPad Air 2. The Canon 1DX of course is the best thing out there! 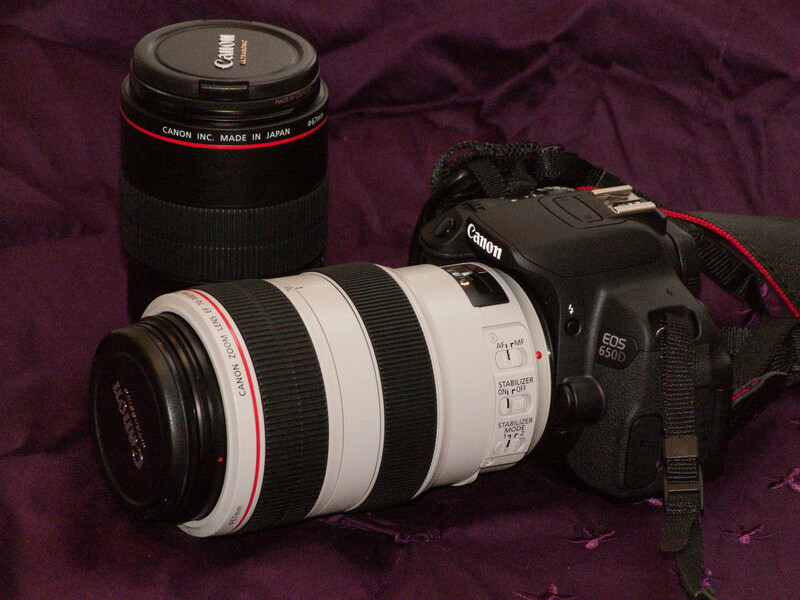 BEST CAMERA EVER THE CANON 60D.